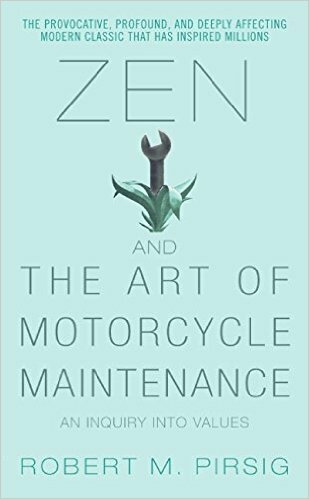 Over the holidays I reread Zen and the Art of Motorcycle Maintenance, Robert Pirsig's classic of popular philosophy (not many like it!). The book weaves into the story of a troubled father–son relationship some very deep philosophical questions, especially concerning the meaning of "value" and "quality" in the modern technological world. It's an engrossing read, very inspiring, and often quite unsettling. There are many autobiographical allusions, in particular to Pirsig's battle with severe depression, his treatment with electroshock therapy, and his erratic path toward self-knowledge.